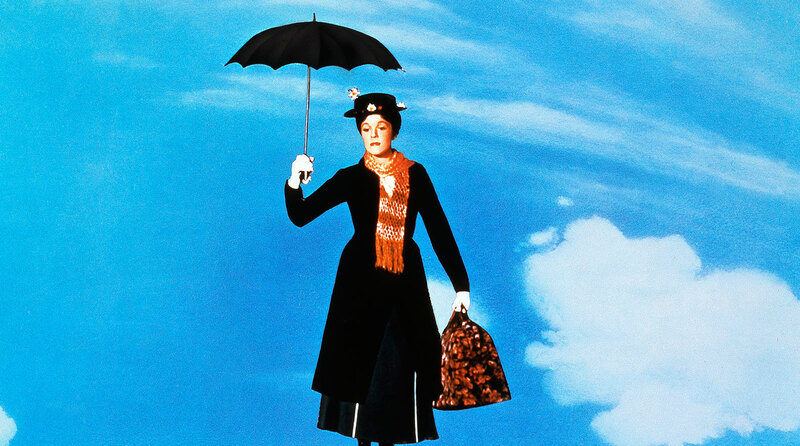 The movie, Saving Mr Banks, portrays the creator of Mary Poppins, P L Travers, as stiff-necked. Some Americans think that if you drink tea from a cup and saucer it automatically follows. Travers was a bohemian and a fan of the wandering hippie prototype, George Gurdjieff. The Beatles discovered their equivalent, Mararishi Mahesh Yogi, in the late 60s. The film, Mary Poppins, was released in 1964. This has significance. Mary Poppins appears and tells children and their parents that we live in a crushing conformist world. In the decade that followed, teenagers argued that the lives of adults were unbearable. For a brief period, people believed we were obliged to escape the demands of the money making machine. Mary was adamant. All we need to do is relax and laugh and we can float up to the ceiling. Unlike Poppins and the children, the bank manager dies from laughing on the journey, presumably because desperate conformists will not be suitable for the freethinking world that is within our grasp. The wealthy will always be preoccupied with money and have to grab ‘tuppence’, every last penny. The bank manager is called Mr Dawes but the doors he opens are traps. The hero of Travers, Gurdjieff, describes bourgeois conformity and consciousness as ‘the waking sleep’. At the end of the movie, when Mr Banks flies the kite, a marvellous dreamlike pun, he has escaped this waking sleep. The family will be happy in their small island of financially secure non-conformity. Much of the mysticism that mars the books was not included in the film. Travers had script approval, so perhaps she had mellowed by then. The film critic of Time magazine described the film as ‘impeccably sentimental’. It is the hippie moments that constitute the acceptable sentimentality and, although the happy ending is not convincing, they make the film enjoyable for children. As do the animated sequences, which allow an escape from conformity and the demands of powerful oppressors. What is best about the film, and qualifies it as film noir, is the bleak vision of the fate that awaits ordinary man. Travers is clear. No one should endure what the powerful demand. It crushes the spirit and wastes too many lives. A similar message exists in A Christmas Carol but Dickens is too savvy to alienate his middle class readers. Scrooge is presented as an extreme and isolated example. Mary Poppins is bleaker because it reveals that to survive we all acquire elements of Scrooge. Travers hated the animation sequences but raised no objections against the chimney sweeps celebrating their temporary freedom on top of the London houses that they clean. Not only can they dance and sing, they look at St Pauls and claim its grandeur as relevant to their lives. Travers may have created books that entertain children but she also knew how to nag and the film nags continually at the compromises we make. The adult who watches Mary Poppins without feeling guilt or regret needs to worry. Howard Jackson has had three books published by Red Rattle Books. His next book, Nightmares Ahead, will be published by Red Rattle Books in Spring 2015. If you want to read more by Howard Jackson click here. Posted in Film, Film Noir, Reviews and tagged cinema, Disney, film, film noir, films, Mary Poppins, movies on December 19, 2014 by Howard Jackson. In the early 70s Flaming Star appeared in the Sight and Sound list of 10 best ever Westerns. This was a surprise because Elvis Presley played the lead role in Flaming Star. A vehicle for a popular singer had broken free of the limits prescribed by critics. 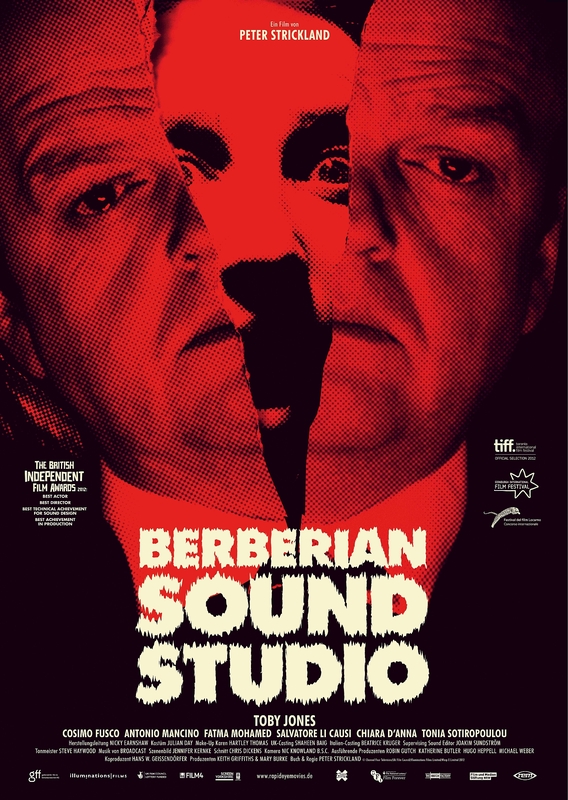 Berberian Sound Studio is a low budget horror movie directed by Peter Strickland but it made the 10 best films of 2012. Since then it has had a quiet existence, confined to Film 4 in the main. Inside the brains of those who have watched the film it is different. There it is very much alive. Berberian Sound Studio begins with the titles of a film called The Equestrian Vortex. The titles serve as a tribute to Italian horror filmmaker, Dario Argento. The audience does not see any of this film. The horror is in what we hear, and this is manufactured in the Italian sound studio that employs Gilderoy, the shy and mother dominated Englishman who works as the Foley operator. His experience has previously been confined to working on nature films that idealise the English countryside. Virtually all of Berberian Sound Studio takes place in the studio but it becomes clear that much of what is happening in the film reflects reality. Francisco, the head of the sound studio, is an exploitative powerful male who avoids paying Gilderoy for his work and Francisco, like Dracula, has power that cannot be challenged. Actresses are harassed by handsome unscrupulous males, as they would be in any horror movie. Gilderoy is disturbed by his new work and what he sees in the horror movie but slowly he is drawn into the film. As the horror becomes part of how he sees the world and himself, his identity begins to crumble. Perhaps, the film has a flaw. The conflict between the shy English technician and his confident handsome Italian employers depends on stereotypes but much of what happens is inside the mind of Gilderoy and it makes sense. Berberian Sound Studio has a film noir equivalent. Road To Nowhere by Monte Hellman also explores the uneasy distinction between cinema and reality. Both films insist that ultimately what we see on the screen will contain something of ourselves and that what we see in the real world will be shaped by what we see on the screen. We are all out there in films by someone. None of us will ever know all the films that have our alternative identities. Horror is guaranteed because we have repetitive longings and fears. We are compelled to imagine ourselves as those that we find terrifying. Like us all, Gilderoy is unable to resist the welcoming horror. Inevitably, filmmakers will sometimes become lost on their own imaginary roads. But as the Goths understand well, none of us can claim independence. In the film noir of Hellman such thoughts lead to nowhere and, in the horror of Berberian Sound Studio, they produce madness. Well, the stakes of the genres were always different. Howard Jackson has written 3 books that have been published by Red Rattle Books. His next book, Nightmares Ahead, will be published in spring 2014. He has written 3 stories for Zombie Bites. If you want to read more about zombies and vampires click here. Posted in Film, Film Noir, Horror, Reviews and tagged Berberian Sound System, cinema, film, film noir, horror, movies, Peter Strickland on November 22, 2014 by Howard Jackson.